In the section of Cleveland County that we now know as the Poplar Springs community, some Baptist brethren felt the need for a local church. These men requested that deacons and pastors from a number of churches meet with them at Shanghai School for the purpose of organizing a church. After several meetings the Poplar Springs Baptist Church was formally organized on Wednesday, September 21, 1898. There were forty-five charter members coming from six churches. Reverend Landrum C. Ezell was elected pastor by acclamation, his salary being sixty dollars per year. Land for the building and cemetery plot was given by Paxton Davis and heirs. Robert Hamrick and his wife gave the church additional land. 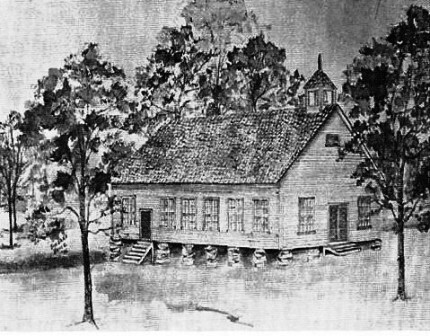 With Burl Blanton serving as foreman, the men of the church built the building. The building was a wooden structure forty feet by seventy feet. 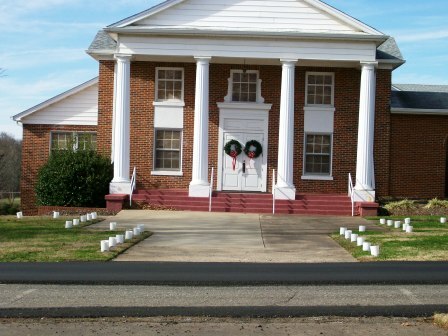 The first services were held in the church building in August, 1899. 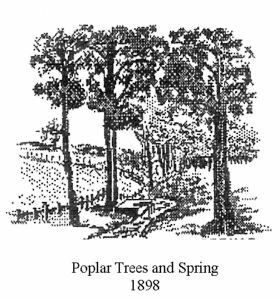 The name ‘Poplar Springs’ was chosen because of the large poplar trees and the springs on the property. 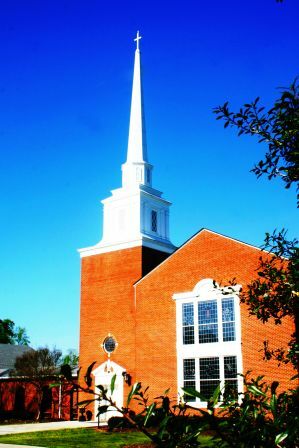 In 1929 the church constructed a modern brick building which cost approximately $15,000 and was surpassed by very few country churches of the Southern Baptist Convention. The first floor was the sanctuary and in the basement were classrooms and a kitchen. This building was dedicated on Thanksgiving Day, 1934. A small home was built on the church grounds in 1947 at a cost of $3,600. 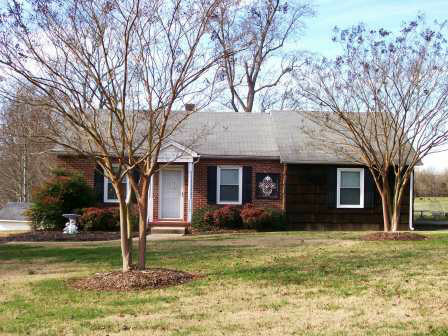 Upon completion of the work on the house, it was debt-free. An educational wing was constructed and completed in March, 1954, at a cost of $45,000. 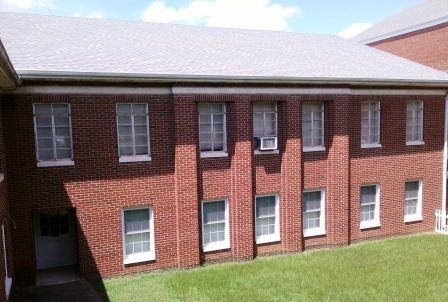 The two-story brick educational plant was occupied the second Sunday in April, 1954. Poplar Springs Baptist Church began a full-time program the first Sunday in March 1954 with the Pastor’s salary of $4,500 per year. On January 29, 1956, the church voted to build a parsonage on the southeast corner of the church parking lot. In the summer of that year the house was completed at a cost of $25,000. In May of 1970, a two-story building was completed to house the sanctuary, pastor’s study, offices, classrooms and recreation facilities. This building was constructed at a cost of $359,000 including furnishings. In 1973 many renovations were made to the church buildings and a full time music and youth director was employed. A full-time secretary was also employed and the church continued to use summer youth directors. Recreational facilities were updated. 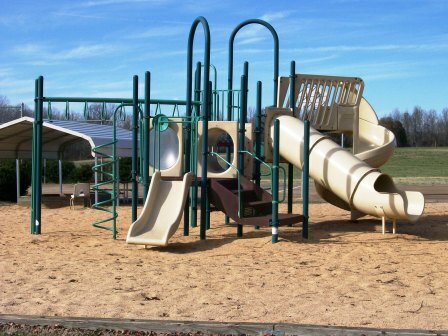 Since 1986, a play yard has been added for the children, a picnic shelter has been constructed by the spring, roads have been built leading to the cemetery and a bus garage has been constructed. The Family Life Center was completed in October, 2000. The building contains approximately 14,250 square feet. The two main areas consist of a small reception/group meeting room and a large fellowship hall with a seating capacity of 350. A stage with front risers and storage area is located just off the main fellowship area. A large commercial equipped kitchen with laundry equipment is accessible to both the main fellowship hall and the reception/group meeting room. Three large multi-purpose rooms may be used for education, activities, meetings, or other functions. The Family Life Center was constructed at a cost of $1,400,000 and, through God’s provision, was paid for in full in about 10 years. 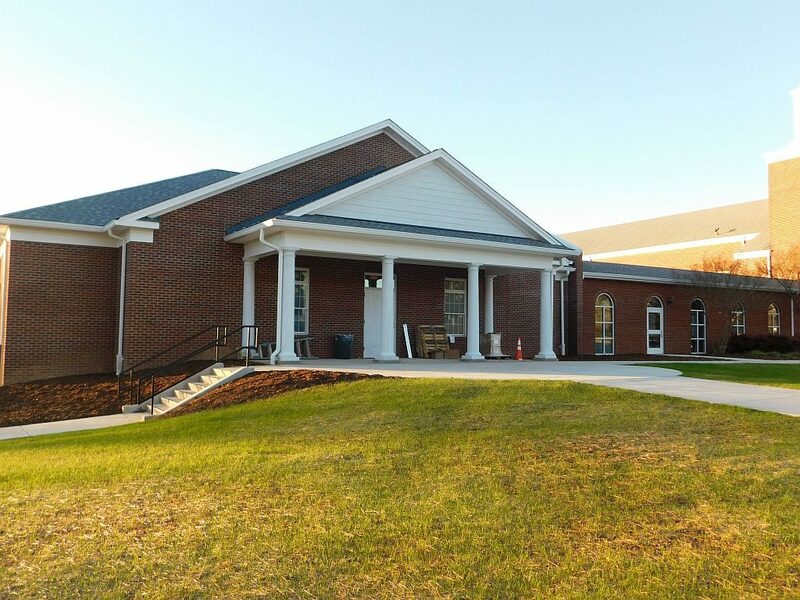 In 2016, Poplar Springs Baptist Church began a new journey of faith, voting to erect a new office, classroom and meeting room complex. The new facility will be on the site of the former ‘Old Sanctuary’ and will include new offices for the church staff, conference rooms and many additional classrooms to house our growing church population. Poplar Springs Baptist Church has a rich tradition of loving and serving our God and community for over 120 years. Even as we embrace that tradition, we seek God’s divine guidance as we look forward to a promising future.